This is the bird I know as Shelldrake. 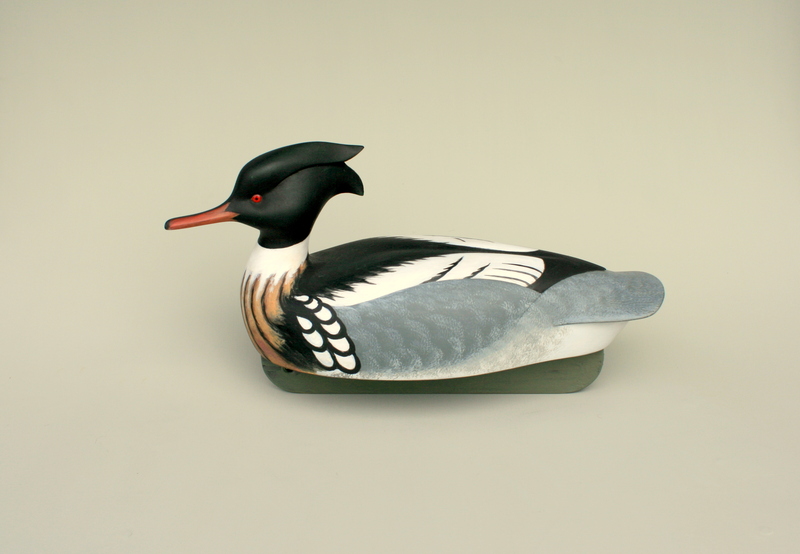 Growing up on the salt waters Great South Bay, these were – and still are – the common merganser right through the winter. 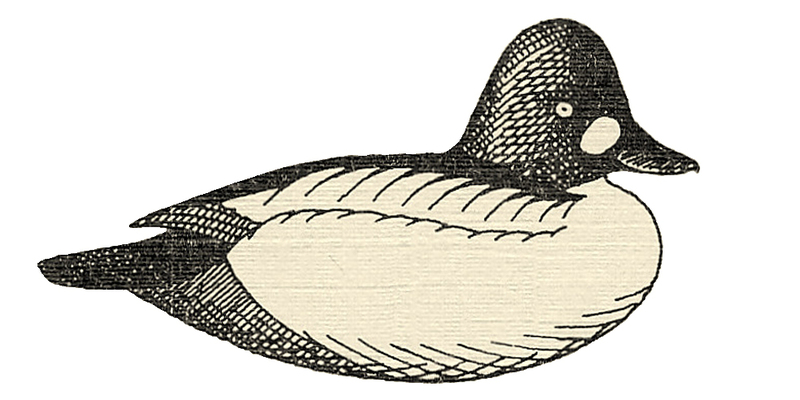 A few Common Mergansers and Hooded Mergansers spend their winters on Long Island but they seem to prefer the freshwater ponds to the tidal bays. I carved this gunner to add to my saltwater rig. Because they taste so fishy, Shelldrake are typically allowed to land right in the rig and stay as long as they like, unharassed. I do enjoy watching them stool so I am hoping this Drake will do his job. This bird is hollow White Pine with a ballasted keel. I saturated his headdress with epoxy to toughen the wood and – I hope – prevent breakage in use. 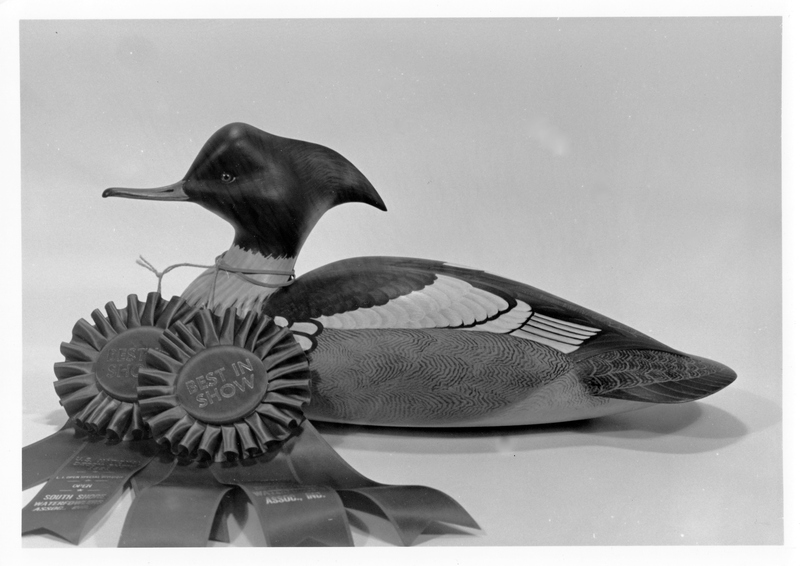 Back when the U. S. National Decoy Show was going full-bore, I would usually compete in their Long Island Special Purchase Division. 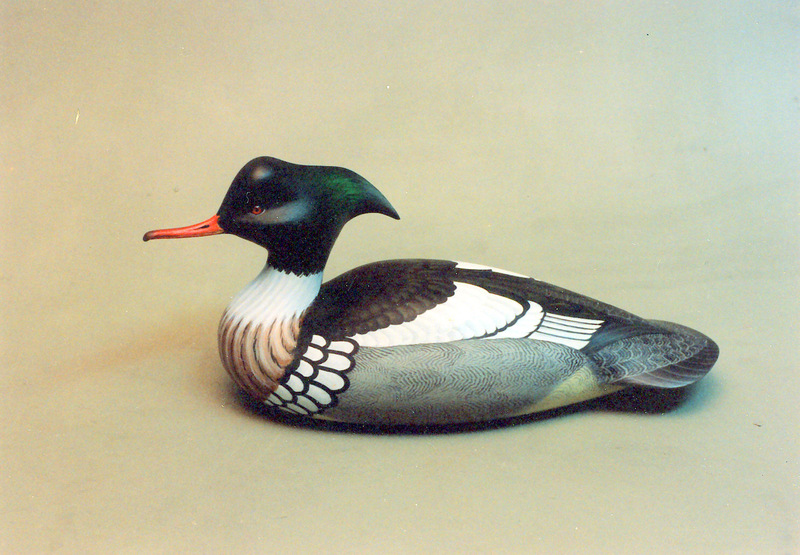 The rules allowed for a bird based in the tradition of working decoys but carvers were allowed to take their painting as far as they wanted. I painted from a specimen and included pretty much every feather. This was one of a few Best in Shows I garnered in the late-80s and early 90s at the U. S. National.